Nutrient-enriched daily use shampoo with an invigorating mint scent. 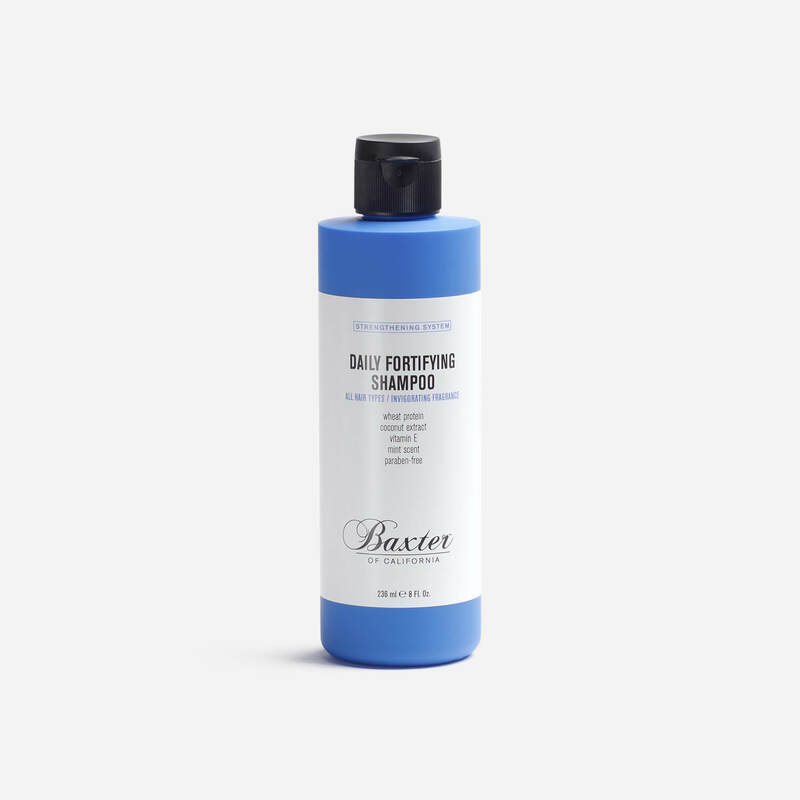 The Baxter of California Daily Fortifying Shampoo is a nutrient-rich shampoo formulated with wheat protein and vitamin E to keep the hair and scalp healthy and clean without leaving it dry. The shampoo has an invigorating mint sensation that not only tingles throughout your routine but leaves your hair smelling fresh and clean. Made in the USA by Baxter of California. Best shampoo I’ve ever used, hair feels thicker and stronger it works better along with the conditioner.